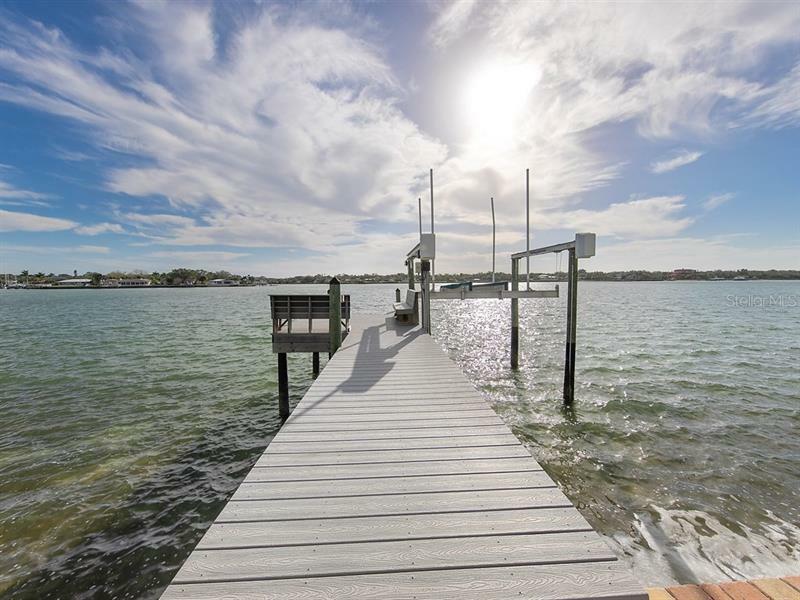 Located on a wide portion of the Intracoastal with exceptional open water views this property boasts hard to find deep water dockage and easy access to Gulf waters for cruising fishing and coastal fun. Recently remodeled this is a lovely home that shows beautifully. A brick paved driveway with separate parking pad leads you to the open floor plan where you immediately see expansive views of the Intracoastal. Located on Beautiful Indian Rocks Beach this two bedroom two bath residence features a large kitchen that has been tastefully updated with stunning black quartz countertops raised ceiling with crown molding and additional built-ins. The Barrel tile roof leaded glass entry and xeroscaping add amazing curb appeal. Moore your vessel right at your back door! This home has a gorgeous dock with water and electric and 10000lb lift. Additionally there is an inside laundry additional storage room for storing marine items and an expansive paved patio features a retractable awning providing shade for sunny days! You will love the open floorplan with light tile floors throughout and family room with a lovely water view. This home comes completely furnished. Attractive easy care xeriscaped landscaping and short walk to pristine beaches this is a wonderful opportunity for a permanent resident second home owner or investment opportunity-don’t miss it!